Jackson Wells, originally from Boston, Massachusetts, earned his real estate license when he was 18 years old. He focused on commercial investment research and sales during the summers while attending The University of Tampa. After earning his Bachelors of Science in finance, he set his sights on retail investment sales, due to his commitment to become a specialized expert in triple-net and multi-tenant investments. Jackson is extremely passionate about getting his clients the highest price for their asset. He's a Licensed Florida Real Estate Agent and a member of the International Council of Shopping Centers. Huntsman Cancer Foundation Contributor - During and after college helped organize charity events. Established in 1962, the Board of Counselors mission is to aid The University of Tampa in its student retention program and to assist in creating public recognition of, understanding of and confidence in The University of Tampa. The Counselors organize social events to raise awareness and funds for UT and maintain programs designed to prepare students for life after college. Through their membership commitment, Board of Counselors members find rewarding opportunities to network with peers who share their belief in the value of higher education. Based in Florida, Ron has been representing clients in both the acquisition and disposition of investment real estate for over sixteen years and has successfully managed thousands of investment transactions Ron’s expertise includes the ability to strategically underwrite existing assets, development opportunities, and deliver comprehensive valuations and for his clients. 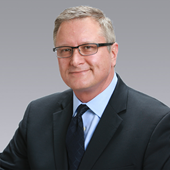 Ron is well-known for providing the highest quality of transaction services to clients and going above and beyond the role of broker. This commitment to excellence has enabled Ron to successfully complete transactions totaling over $1 billion to date. 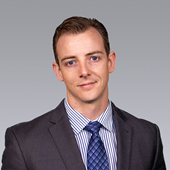 Chris’ focus is within the Tampa Bay retail sector of the commercial real estate market. He prides himself on providing highly detailed and relevant marketing materials to aid his team in providing the highest and best services possible. By staying up to date on relevant market data and measuring marketing programs, Chris is able to further enhance client’s specific goals. The analysis of this research is used to develop contact lists, determine sales conditions and provide logistical comparative information in a particular market. With these materials and information, Chris collaborates with his Retail Investment Team to put together pro-active marketing strategies for each specific project. His ability to produce effective marketing materials is backed through his experience with graphic design, market research, direct mail campaigns and staying on top of new technology.